Instead of this preamble being a summarisation of the following issue AI, i'm finding myself compelled to write it during the production of the issue as a piece reflecting something I find perennially amusing. It's something that cropped up during the recent Ai500: Viper's Strike event that you can find a gallery of images from elsewhere in these issue. 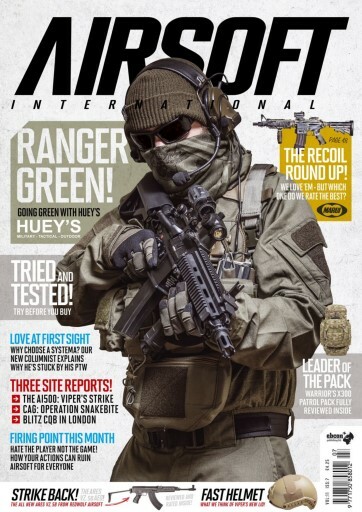 The subject I'm talking about is the sheer variety of people that airsoft attracts… We all have one thing in common but i'm not sure there's a more disparate group of people interested in any one hobby anywhere else. In one corner you have the die hard Mil-Sim fans. The guys that like all the guns and gear just like their favourite military unit, even down to the level of detail where they will buy those exact, genuine items. These guys can be divided into a couple of camps still, you have the ones that like "flavour of the month" or modern gear and kit and then you have guys that like a bit of historical gear. This ranges from 15 years of US Special Forces kit all the way back through Vietnam ear gear and even WW1/2 and beyond! 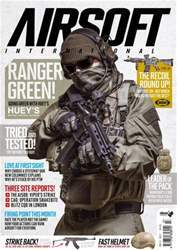 When you think about it, it's crazy that we try and make a single magazine that caters to all these forums and sure, it's a tough one because not everyone get on and plays airsoft for the same reason. I think the truth is though, that the boundaries between the groups are not exactly firm or solid. They shift and to an extent, every airlift player has a leaning towards all the different points on the star, we just need to appreciate the others might enjoy different aspects of "the game".